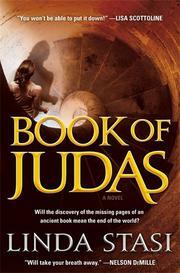 A New York journalist must unravel secrets related to the lost Gospel of Judas. New York Daily News columnist Stasi (The Sixth Station, 2013, etc.) brings back her New York City journalist, Alessandra Russo, who's balancing a demanding work life with all the realities of being a single mother to a newborn. This stressful but manageable life takes a turn for the dramatic—and even the terrifying—when Alessandra’s best friend, Roy, a gay, Jewish retired firefighter suffering from PTSD, calls with news of his hated father’s death and the strange inheritance he's left behind. It appears that Roy’s father had been hiding a missing section of the Gospel of Judas, a pivotal religious document uncovered in the 1970s and then lost again until the year 2000, when most of it was found in a safe-deposit box on Long Island. Roy's father was a manager at the bank, and on his deathbed, he told Roy he'd stolen "the pages that revealed Jesus' secret to resurrection." Now Ali has what could be the story of her life, but a problem crops up when Roy is accused of having murdered his father. "I wanted to. But I didn't," he tells her. With her friend behind bars, Alessandra must come up with the money to bail him out, and the only option is a treacherous journey to Israel to peddle this mysterious gospel. This spur-of-the-moment trip, taken at a time when all her usual child care has fallen through, means she has no choice but to leave her baby with her eccentric neighbors overnight until her parents can arrive. Fretting about the safety of her child and reunited with a mysterious man from her past, Alessandra dives into an adventure where she encounters a shadowy world of black market merchants, religious fanatics, and international spies. Along the way, the reader is exposed to a fair amount of intriguing historical information and some conjectures of questionable validity. A page-turner offering a modern interpretative twist on the life and teachings of Jesus.